Our team of professional designers create innovative designs for interior spaces; turning ideas to reality. 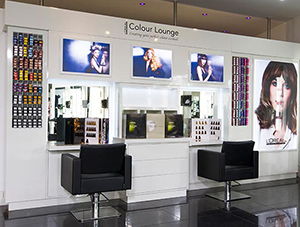 Masters Creative Services conceived and designed the 'Colour Lounge' concept for L'Oreal Professional and Masters Exhibitions in-house craftsmen then turned it into reality. 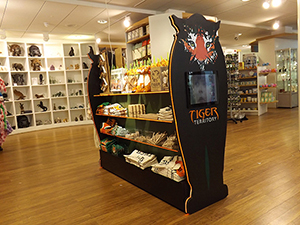 ZSL asked Masters to create a "tiger territory" unit to display the tiger merchandise in the London Zoo gift shop. The stand had maximum display space and beautiful graphics. 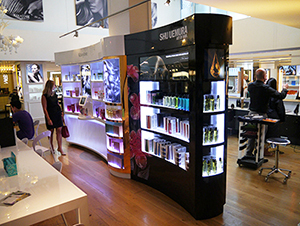 Masters designed and created these sleek, modern, merchandise stands for L'Oreal brands Kérastase and Shu Uemura, at the Urban Retreat Salon in Harrods, London. 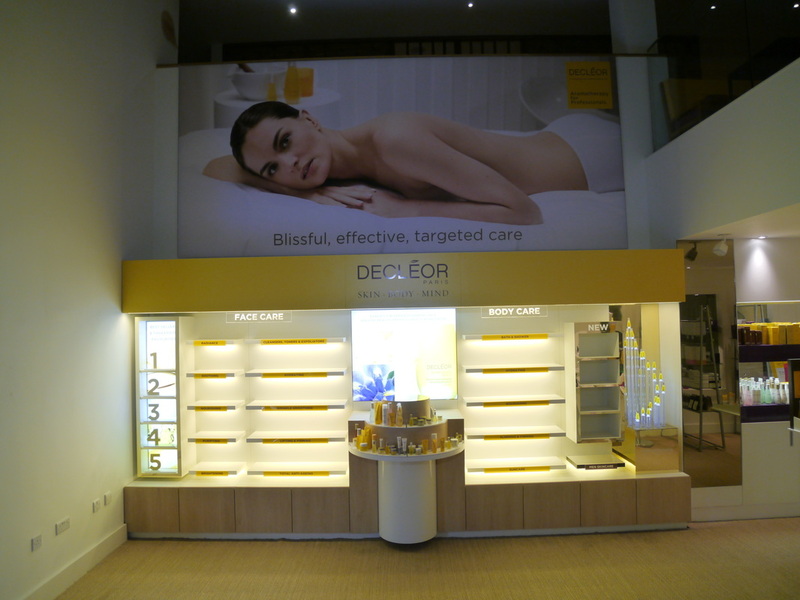 Masters designed, created and installed this interior merchandise stand for the L'Oreal brand, Decleor.